Pickem Dash Football: Change. We Need. Since this week's updates have all been pictures/videos and have not included any useful insight from me, why not keep it going? 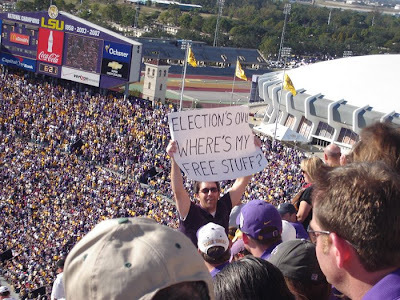 You "change" freaks out there may appreciate this picture taken at the LSU game.